Chances are you can squeeze a bit more distance out of each gallon of fuel no matter what type of vehicle you drive. – If you can get even just a few kilometers more per tank, the savings over time can be very significant. Check out the tips below and see if there are some things you could be doing to help reduce the cost at the gas pump. Reducing speed is one of the most effective ways to increase your fuel economy. The higher the rate of speed, the more gas the consumption. If you consistently drive over the speed limit, you are probably paying considerably more for gas over time. Try driving the posted speed limit and watch the fuel savings. 2. Make sure your tire pressure is correct. Keeping proper tire pressure is one of the easiest things you can do to increase fuel efficiency. This is one of the most ignored problems but one of the most significant things you can do to save money at the pump. Under inflated tires create increased resistance. It takes more power to move a vehicle with tires that don’t have the required amount of air pressure. More power requirements equals more fuel consumption. When you check your tires, it is best that they are checked while they are cold. Warm tires increases show increased pressure so you may get an inaccurate reading. It is recommended that you check the air pressure in your tires at least once per month. Do this and you will help to keep fuel consumption at a minimum. If you don’t know the required amount of air pressure for the tires in your vehicle, open the driver’s door. It is usually indicated on an affixed sticker on the door jamb. A less than clean air filter reduces the flow of air into the engine. This affects the performance of your engine negatively. The less efficient your engine is running, the more fuel is required to get the output needed. Make sure your air filter is checked regularly. Clean it or remove it as required. This will surely help to maximize your fuel economy. 4. Easy on the acceleration. Accelerate moderately. Accelerating quickly demands more power from the engine which of course requires more fuel. Fuel savings are sure to add up for you by following this simple tip. Clean out your car. Are you carrying around unnecessary weight that could easily be removed? Most people are using their trunks for storing things that could be brought into the house. Even 50 lbs over time can make a considerable difference in your fuel savings.With the price of gas today, we all need to do what we can to reduce fuel costs. These 5 simple tips can make a significant dent in your fuel bills. Check out our website at canadianautomall.com or drop by anytime. We have over 150 vehicles in stock and are sure to have the fuel efficient used vehicle that fits your needs, wants and lifestyle. 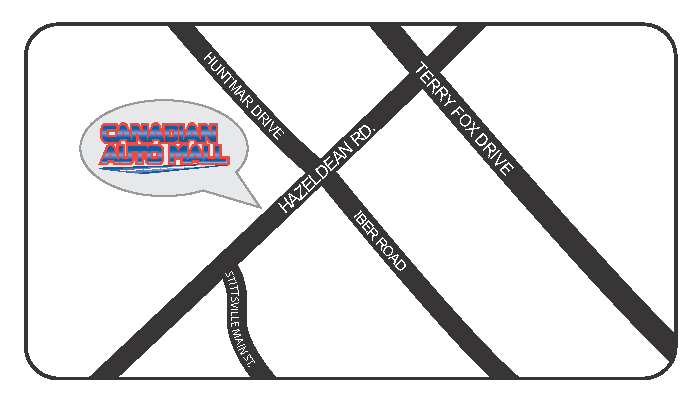 We are located on the Hazeldean Rd at the corner of Cedarow Crt in Stittsville on the west end of Ottawa. Give us a call at 613-831-3332 if you would like directions. We are looking forward to seeing you.